Food trends for 2017: what do the experts think? Just like the fashions, trends come and go when it comes to what we put in our belly. Food markets, blogs, celebrity chefs, ingredients and more all influence the exciting new dishes that might go on to be classics, or maybe just flashes in the pan (no pun intended). We asked three food experts about what grub we’ll be enjoying in 2017. Got an amazing food startup? Our competition Virgin Foodpreneur is now open for 2017 entries! Find out more. 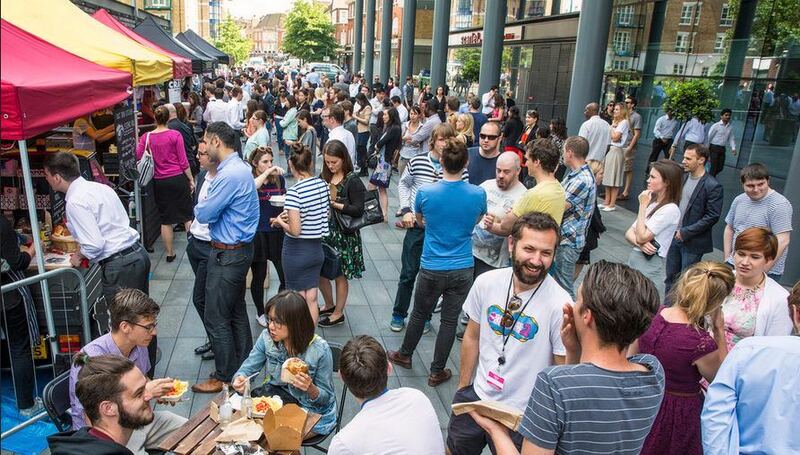 Jessica Tucker and Mike Egerton are the founders of Urban Food Fest, the Shoreditch High Street street food night market, and will be activating the three following food and drink trends at their famous market in 2017. At our street food markets in 2017 we will be featuring exciting, authentic Asian street food cuisines. We will be serving Vietnamese vegan tofu and vermicelli noodle rice summer rolls; Balinese nasi goreng crispy rice piled high with prawns, sesame oil, spring onions and fried egg; Northern Chinese smoked duck and mushroom dim sum and Taiwanese steamed bao buns with sticky beef, satay sauce and greens from the Far East. At our market we will be exploring the trend for premium, unique cocktails including our "Shoreditch Rocker" jam jar specials: raspberry, vodka, lemongrass and a splash of prosecco and our "Urban Dream" elderflower, gin, lychee and strawberry. Both absolute heaven on earth! 2017 is all about really indulgent, over-the-top and sumptious treats - perfect for Saturdays in Shoreditch! On our menu there will be salted caramel fudge blondies smothered in melted white chocolate, and deep-fried marshmallows covered in fudge Oreo pieces. Once we go into the summer months we will be featuring design-your-own ice-cream sandwiches - which will include gluten-free red velvet soft cookies filled with honeycomb ice-cream and fresh berries on top, and vegan oatmeal cookies with dairy-free coconut milk ice-cream. Petra is the founder of KERB, one of the longest-established street food markets in the UK. Here are the types of food she thinks are going to be making their mark this summer. We’ve seen a massive increase in consumption at our markets, as well as exciting innovation around it in general. Finally it's ok for non-vegans to go there - and it's tasting great. Gut shots, kombucha, things that fizz in a natural and energising way. The popularity of these is increasing, will continue to do so, and will herald the way for a swathe of temperance (non-alcoholic) bars across the capital. Dumplings are everyone's favourite latest obsession - from new inKERBator Sheng Hi to The Dumpling Shack, Yum Bun's Yumplings at Hawker House, Mike + Ollie's Manti in Camberwell and Mince & Dough in Shoreditch. Dumplings have everyone drooling right now. Felicity Clarke is the Group Sales Manager of Taste Festivals, which run leading food festivals around the world. Here are her predictions for food in 2017. This year I think we’ll see a continuation in the resurgence of more traditional ways of preparing food, for example pickling, fermenting, cooking over flames and nose-to-tail cooking (using all of the animal). The preference for natural, simple and flexible diets will drive further expansion of vegetarian, vegan and other plant-focussed formulations. Vegetables won’t be an addition to the dish – they’ll be the hero ingredient. The cousin of the aforementioned nose-to-tail will also be gaining in popularity: root-to-shoot! The focus of sustainability will zero in on eliminating food waste, and there will also be a move towards less packaging. Healthy food and drink and not luxuries. The popularity of coffee and craft beer will continue, but we’ll also see a few new trends. Negronis are here to stay, sake is looking big for 2017, and mead (or honey wine) is a fun trend for 2017. We've partnered with intu to bring back Virgin Foodpreneur for 2017! If you're a food and drink startup, we want to hear from you. Find out more and apply here!